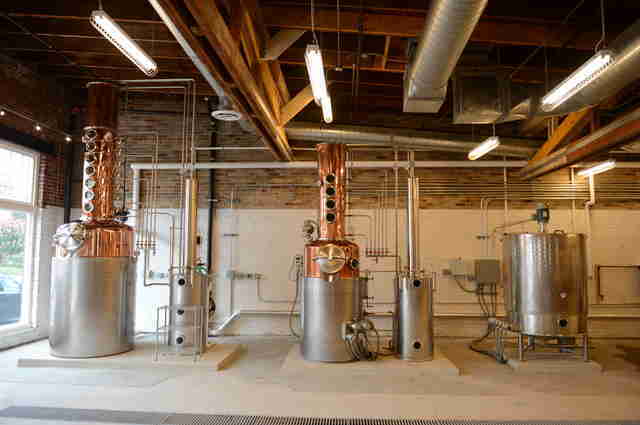 We recently gave you a sneak peek into the future of DC whiskey (yeah, you're welcome). But while it's cool to know all about the exciting local booze that's coming out in the next year or three, that knowledge won't exactly help you figure out what you should be drinking, you know, tonight. 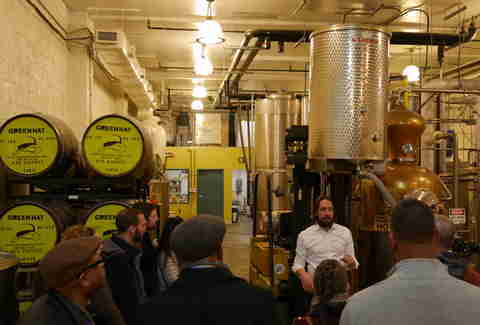 As you may have noticed (you've noticed), the DC area has been (figuratively) exploding with local distilleries in recent years. And while most of the spots on this now-stacked roster aren't even a decade old, they've been turning out some truly killer products. But what's actually worth replacing your favorite national brands? 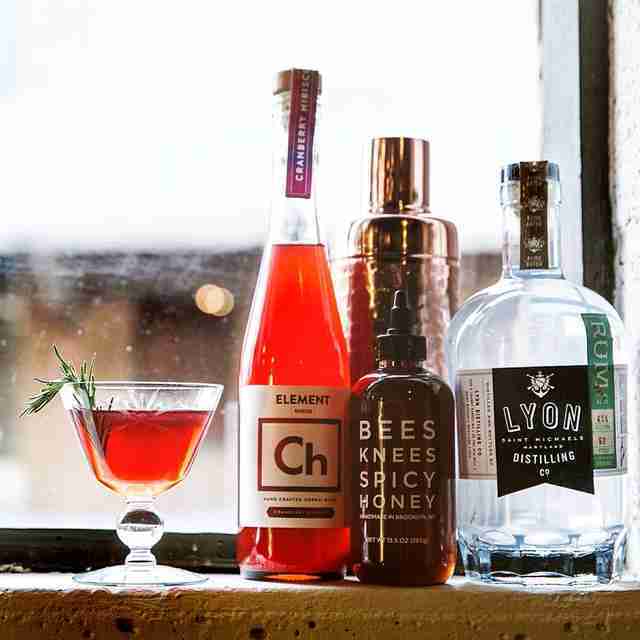 In an effort to help you navigate the region's killer new spirits scene, we asked 11 of the DMV’s best bartenders to share their favorite local spirits company. Here are six regional distilleries with the bartender stamp of approval. 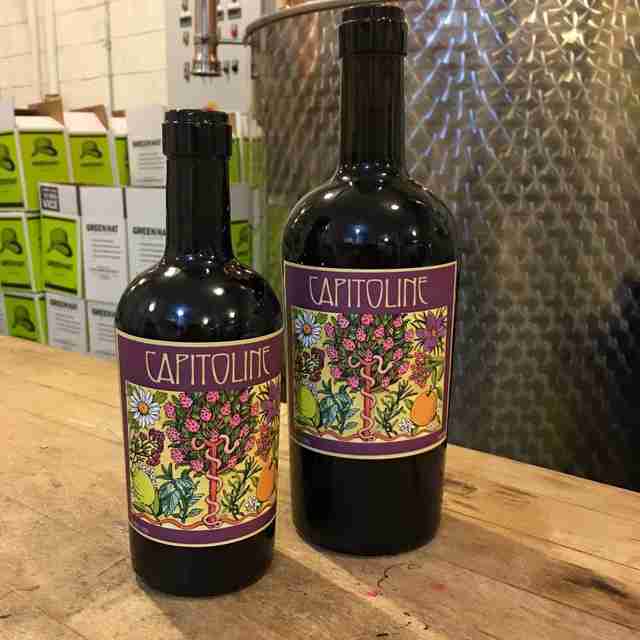 DC’s first commercially available vermouth, this fortified wine is made by hand in small batches at New Columbia Distillers (Green Hat Gin) in Ivy City. It only has two bottlings, rosé and white, so producers Kat Hamidi and Peter Pastan can sweat the details. 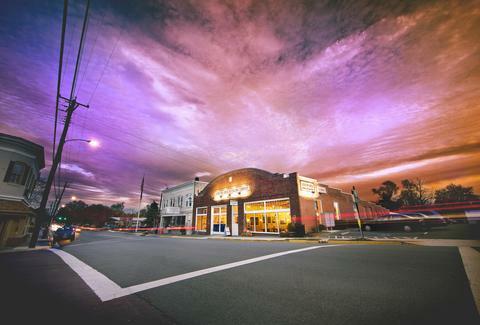 Catoctin Creek has practically become a household name since it opened in 2009, and with good reason -- it's pretty groundbreaking, being the first legal distillery to open in Loudoun County since before Prohibition. Husband-and-wife team Scott and Becky Harris produce award-winning, certified organic and kosher whiskey, gin, and brandy in Purcellville, VA. The recipes used by this small-batch Italian liqueur producer have been in the family for over a century, but the company has only existed in DC since 2012. Founder Francesco Amodeo’s family owned a distilling business that thrived on the Amalfi Coast from 1883 until 1980, when an earthquake destroyed the operation. Francesco revived the tradition to share his grandfather’s limoncellos, apertivos, and amaros with the US. This pioneering, family-owned distillery was the first to bring craft distilling back to DC after Prohibition. Fittingly, the founders named their operation after a notorious Capitol Hill bootlegger, George Cassiday, known as "The Man in the Green Hat." Cassiday spent 10 years selling liquor to congressmen and senators, after which he outed his customers by writing about their hypocrisy in The Washington Post. Since 2011, Green Hat has been making several varieties of gin, including the Classic, Navy Strength, and seasonal bottlings. Distiller Ben Lyon used to make rum just for his friends to enjoy, but his product was so beloved that he decided to launch Lyon Distilling Company in 2013 in Saint Michaels, MD. It started with a signature line of rums made from organic molasses and sugarcane, and have recently begun releasing extremely small batches of whiskey as well. This distillery in Bristow, VA was founded by cousins Thomas Murray, Michael Larkin, and James Larkin. To pay homage to their Irish roots, they decided to combine their family names in a play on the word "malarkey." Using recipes passed down from their ancestors, the team produces whiskey, vodka, and gin using locally sourced ingredients. Lani Furbank is a freelance food writer who will happily throw back sample booze in the name of research. Follow her on Twitter and Instagram @lanifurbank or read her blog at www.LanisCupOfTea.com.